Nice and close to shopping and the interstate. Free breakfast was nice. Basic. But fine for our purpose. Great value with pricing. Close to lots of food options. 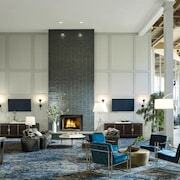 Where to find Shelburne hotels near an airport? Where can I find hotels in Shelburne that are near tourist attractions? Shelburne has a range of quality places to sleep. Our extensive hotel database offers 18 hotels within a 0.1-kilometre (0.06-mile) distance of Shelburne's center. Travelers searching for a hotel right near the heart of Shelburne will appreciate the convenient location of the Heart of the Village Inn. 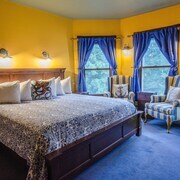 The Hotel Vermont is located 11 kilometres (7 miles) from downtown Shelburne. Another option is the Basin Harbor Club, which can be found 25 kilometres (14 miles) away. You could also choose to investigate the Courtyard Marriott Burlington Harbor or the Hilton Burlington. The larger Northern Vermont region is worth visiting too. Northern Vermont offers forests and mountains, and common Northern Vermont tourist attractions include open-air markets. Popular things to do in this part of United States of America include snowboarding and skiing. 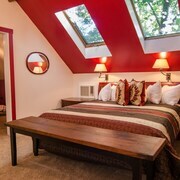 The closest accommodations in Burlington are South Burlington and Winooski Falls Mill District. South Burlington is 9 kilometres (5 miles) to the northeast of Shelburne, while Winooski Falls Mill District is 12 kilometres (8 miles) to the north. 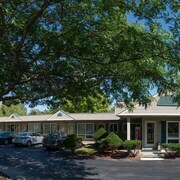 Accommodations in South Burlington are the Holiday Inn Burlington and Green Mountain Suites Hotel. The Residence Inn by Marriott Colchester and Sheraton Burlington Hotel are some of the hotels in Winooski Falls Mill District. Get your sporting fix by taking a trip to Olympic Center, which is 60 kilometres (38 miles) to the west of Shelburne. 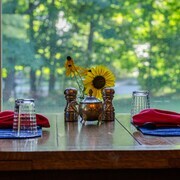 Sports fans wanting to stay near to the action can make a choice from the The Whiteface Lodge or the High Peaks Resort. 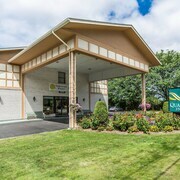 For travelers planning on arriving or departing via Burlington International Airport, you may choose to book a bed at Sonesta ES Suites Burlington VT, or Courtyard by Marriott Burlington Williston, which are both a short taxi ride away. What are the most popular Shelburne hotels? Are there hotels in other cities near Shelburne? 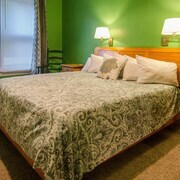 What other types of accommodations are available in Shelburne? Explore Shelburne with Expedia.ca’s Travel Guides to find the best flights, cars, holiday packages and more!